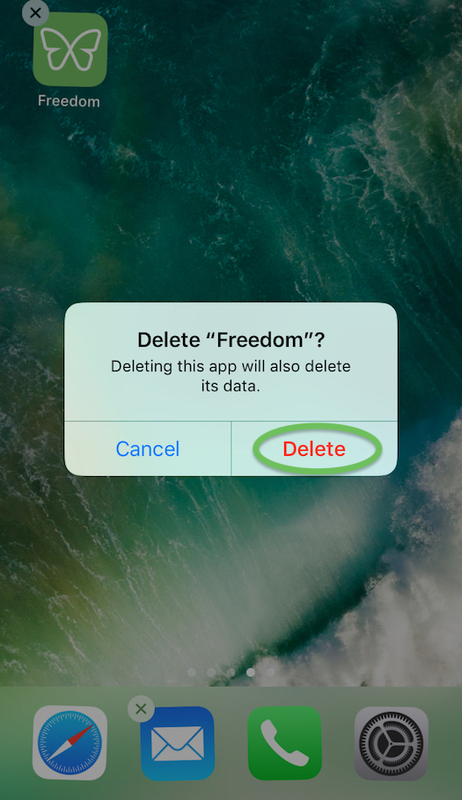 This article provides instructions on how to uninstall the Freedom app from your iPhone, iPad, or other iOS device. 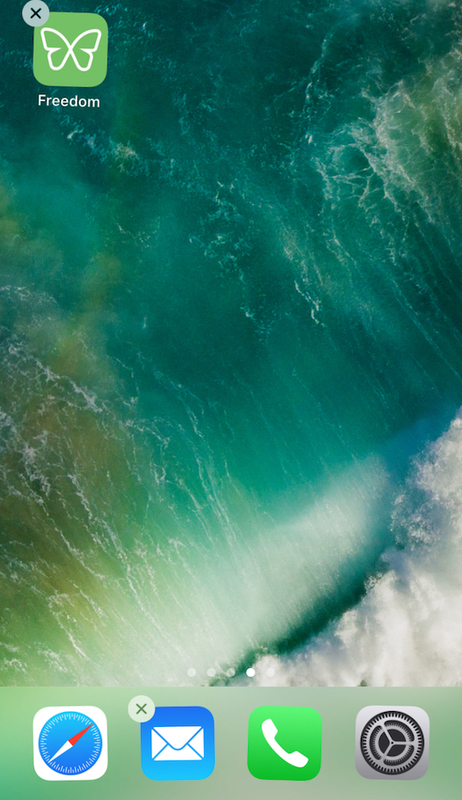 Issue: I need to delete iOS from my iPhone/iPad/other iOS device. How do I do this? To remove on iOS, simply click and hold on the Freedom app. All of the app icons will start wobbling gently, and an 'x' will appear on the apps you can delete . 2. Press the 'x' on the Freedom app icon and confirm by clicking 'Delete' on the pop-up. The VPN profile will be removed along with the app.